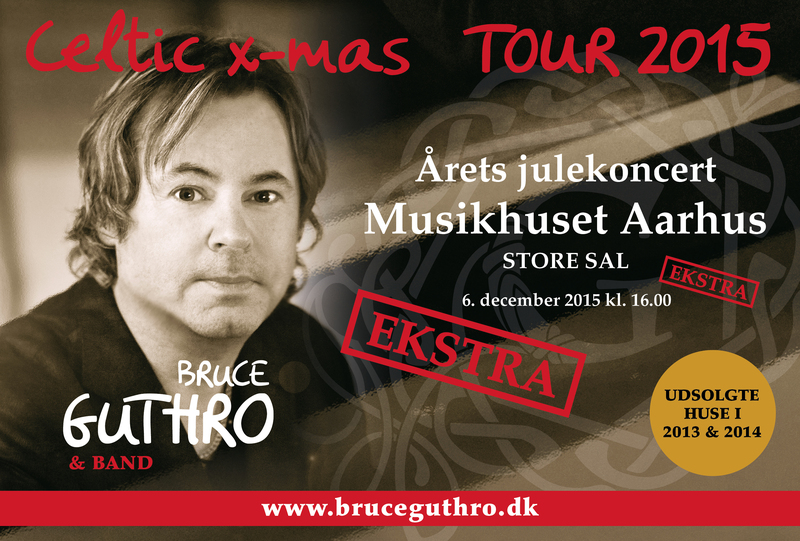 Celtic X-mas Tour 2015 adds extra show! The ticket sale in Aarhus is going great! Musikhuset Aarhus on December 6th at 4 PM, which is available for everyone! This means that those who live far away can experience a fantastic concert with lots of Celtic music and great Christmas spirit, and still get home at a decent hour. So if you do not live close to a stop on the Celtic X-mas Tour 2015, you now have a golden opportunity to go for a weekend trip to the capital of Jutland in Denmark. On the 2nd sunday of Advent you could go for a Christmas shopping spree and end your weekend with a grand experience with Bruce Guthros Celtic X-mas show! Bring your husband, wife, friend, daughter, son or whomever you like and come to a captivating concert in Musikhuset Aarhus! The Celtic X-mas Tour 2015 is right around the corner! The Celtic X-mas Tour 2015 was a success!